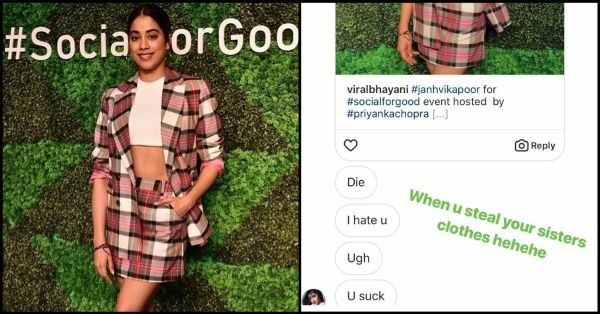 Janhvi Kapoor *Stole* Her Sister Khushi's Plaid Skirt-Suit And We Couldn't Relate More! Janhvi Kapoor's new look could not have come at a better time for us. Winter has just begun and we are craving a change from the summer-favourite florals. A fuller, more structured pattern is what we want this season; one that screams winter-friendly style, and is easy and effortless. Enter Janhvi Kapoor! The Dhadak actress stepped out in the city in plaid and we are in awe of her choice yet again. Or should we say Khushi's choice? 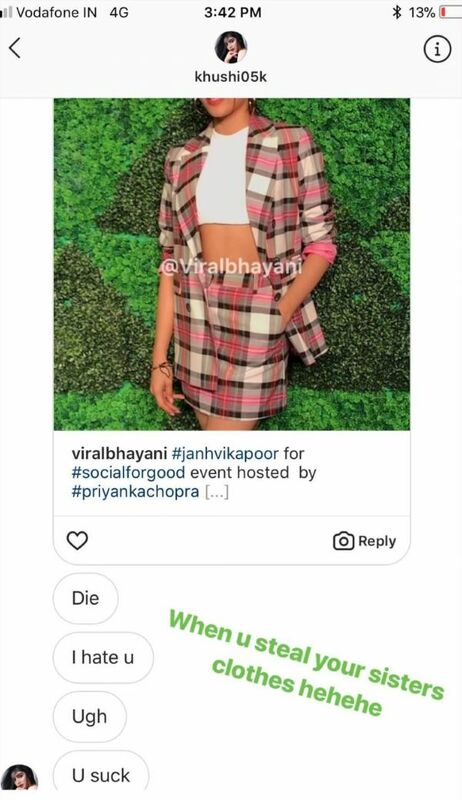 Just like us normal folk, Janhvi totally stole her sister's clothes for the event and we couldn't relate more. For a social media event in Mumbai, Janhvi Kapoor wore a plaid skirt-suit by Topshop and made the pattern look so vivid and youthful. She wore a regular blazer with a mini skirt, a self-ribbed white crop top, and completed the look with a pair of pink suede heels. A pair of her all-time favourite hoop earrings is all she needed to add finishing touches to her look. She kept her makeup basic with flushed-out cheeks and tinted lips, and tied her hair into a messy low ponytail. 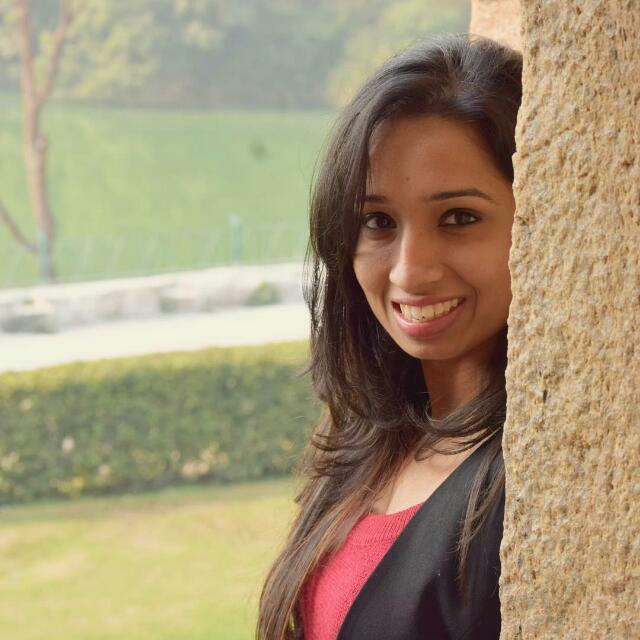 So typically Janhvi! There's one thing about plaid; the checkered pattern can often age you up if not styled properly. If you're wearing plaid, one of two things can happen: you could either end up looking your sartorial best or you could end up looking like an old Scottish bagpipe player. But, what's worth noticing about Janhvi's outfit is how she balanced the look with a solid top and simple accessories. Kind of reminds us of the time Blake Lively styled her checkered pantsuit setting #FashionGoals on fire. "Picnic anyone? I’ll bring the tablecloth...", she captioned the picture on Instagram. Count us in! Who wouldn't want to go for a picnic with Blake Lively? She wore her pantsuit with a white shirt and opted for statement accessories to glam up her formal look. Janhvi did just the same but with minimal accessories instead of statement ones giving us a second, and low-key way, to style plaid. There are only two situations when your sister yells at you like this; one, when you borrow her clothes, and two, when you borrow her clothes! But what can we do? After all, we all know that you look better in borrowed clothes than you do in your own. Here's what happened when Khushi borrowed Janhvi's top and looked better in it.